For three decades, I’ve been trying to convince politicians to adopt good policy. 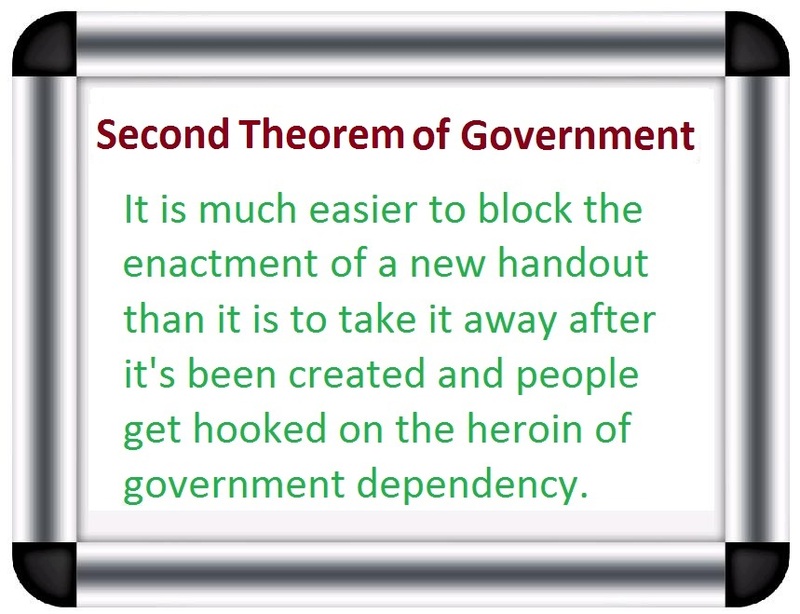 I give them theoretical reasons why it’s a good idea to have limited government. I share with them empirical evidence demonstrating the superiority of free markets over statism. And I’m probably annoyingly relentless about disseminating examples of good and bad policy from around the world (my version of “teachable moments”). But if you want to get a politician to do the right thing, you need more than theory, data, and real-world case studies. You need to convince them – notwithstanding my Second Theorem of Government – that good policy won’t threaten their reelection. My usual approach is to remind them that Ronald Reagan adopted a bunch of supposedly unpopular policies, yet he got reelected in a landslide because reducing the burden of government allowed the private sector to grow much faster. George H.W. Bush, by contrast, became a one-term blunder because his tax increase and other statist policies undermined the economy’s performance. I’m hoping this argument will resonate with some of my friends who are now working in the White House. And I don’t rely on vague hints. In this clip from a recent interview, I bluntly point out that good policy is good politics because a faster-growing economy presumably will have a big impact on the 2020 election. Here’s another clip from that same interview, where I point out that the GOP’s repeal-and-replace legislation was good news in that it got rid of a lot of the misguided taxes and spending that were part of Obamacare. But the Republican plan did not try to fix the government-imposed third-party-payer distortions that cause health care to be so expensive and inefficient. And I pointed out at the end of this clip that Republicans would have been held responsible as the system got even more costly and bureaucratic. Now let’s shift to fiscal policy. Here’s a clip from an interview about Trump’s budget. I’m happy about some of the specific reductions (see here, here, and here), but I grouse that there’s no attempt to fix entitlements and I’m also unhappy that the reductions in domestic discretionary spending are used to benefit the Pentagon rather than taxpayers. And since we’re talking about good policy and good politics, here’s a clip from another interview. Back when the stock market was climbing, I suggested it was a rather risky move for Trump to say higher stock values were a referendum on the benefits of his policies. After all, what goes up can go down. The hosts acknowledge that the stock market may decline in the short run, but they seem optimistic in the long run based on what happened during the Reagan years. But this brings me back to my original point. Yes, Reagan’s policies led to a strong stock market. His policies also produced rising levels of median household income. Moreover, the economy boomed and millions of jobs were created. These were among the reasons he was reelected in a landslide. But these good things weren’t random. They happened because Reagan made big positive changes in policy. He tamed inflation. He slashed tax rates. He substantially reduced the burden of domestic spending. He curtailed red tape. For what it’s worth, Reagan also demonstrated leadership, enacting all those pro-growth reforms over the vociferous opposition of various interest groups. Will Trump’s reform be that bold and that brave? His proposed 15-percent corporate tax rate deserves praise, and he seems serious about restraining the regulatory state, but he will need to do a lot more if he wants to be the second coming of Ronald Reagan. Not only will he need more good policies, but he’ll also need to ditch some of the bad policies (childcare subsidies, infrastructure pork, carried-interest capital gains tax hike, etc) that would increase the burden of government. The jury is still out, but I’m a bit pessimistic on the final verdict. 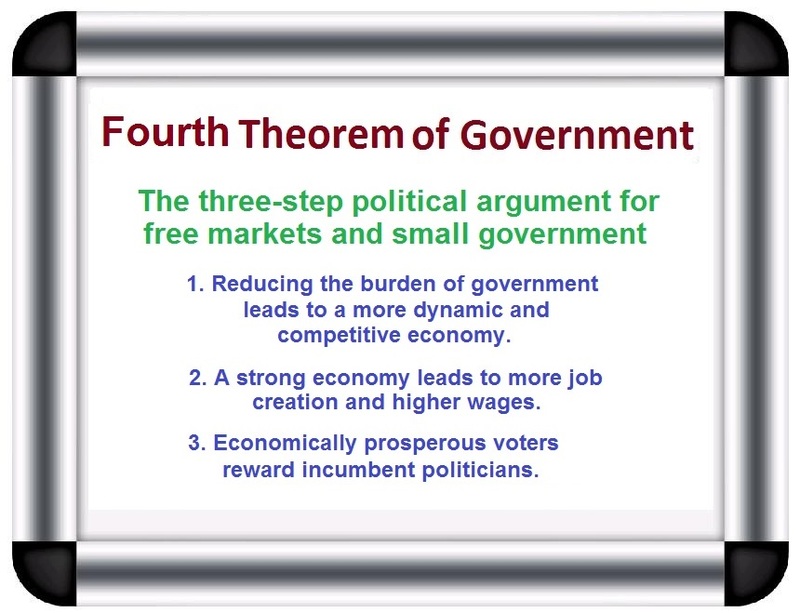 I wrote a corollary to your four theorems of government. It goes like this: If you see an injustice, anywhere and anytime, look for the law or government regulation that’s causing it. You’ll most certainly find it. Greetings from Venezuela.